Although I am still buried in snow, I am dreaming of summer! I love designing barefoot sandals! I have several ideas for patterns that I'd like to write this year, and here is my first! I really didn't know what to name them at first, so I waited until they were finished, then it came to me. 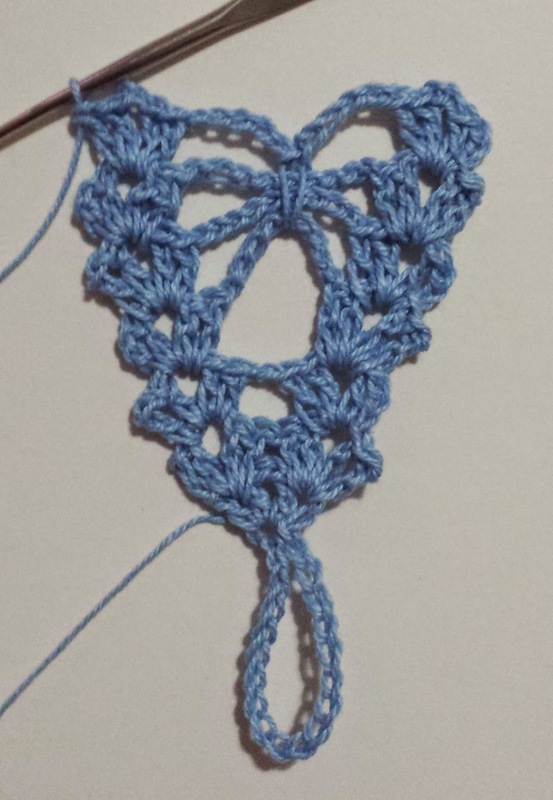 It kind of resembles a spider in the center, but I couldn't call them "spider lace", because that's entirely something else in crochet. But spiders have eight legs, and arachnids have eight legs, thus the name. I've included photos to help you along the way. Ch 20, sl st in 1st ch to form a loop. Row 1: Ch 3 (counts as 1dc), [dc-ch2-2dc] in same joining ch. Row 2: Ch 3, turn; [dc-ch2-2dc] in space between first 2 dc's, skip ch2 space, shell in space between last 2 dc's. Row 3: Turn, sl st over to 1st ch2 space; ch3, [dc-ch2-2dc] in same space, ch 1, shell in last shell. Rows 4-6: Turn, sl st over to 1st ch2 space; ch3, [dc-ch2-2dc] in same space, ch9, shell in last shell. Row 7: Turn, sl st over to 1st ch2 space; ch3, [dc-ch2-2dc] in same space, ch5, work a sc around last 3 rows of chain 9, ch5, shell in last shell. Row 8: Ch3, turn; [dc-ch2-2dc] in space between first 2 dc's, ch2, skip ch2 space, shell in space between next 2 dc's, ch3, shell in space between next 2 dc's, ch2, skip ch2 space, shell in space between last 2 dc's. Row 9: Turn; sl st over to 1st ch2 space; ch3, [dc-ch2-2dc] in same space, (ch3, shell in next shell) twice, ch3, shell in last shell. Row 10: Turn; sl st over to 1st ch2 space; ch3, [dc-ch2-2dc] in same space, ch6, 2dc in next shell, ch2, 2dc in next shell, ch6, shell in last shell. Row 11: Turn; sl st over to 1st ch2 space; ch3, [dc-ch2-2dc] in same space, ch6, shell in next ch2 space, ch6, shell in last shell. ... ch 11, work 7 sc in ch2 space of center shell, ch 11, dc in ch2 space of last shell, ch250. Fasten off. Make another one. 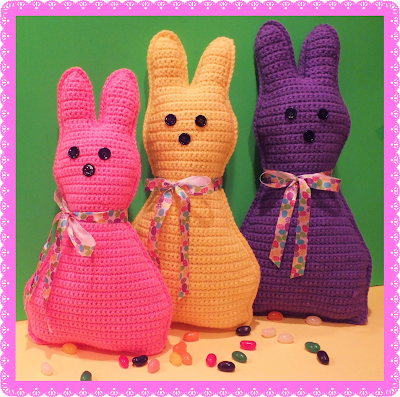 I'm not done finding cute little Easter crochet patterns yet! 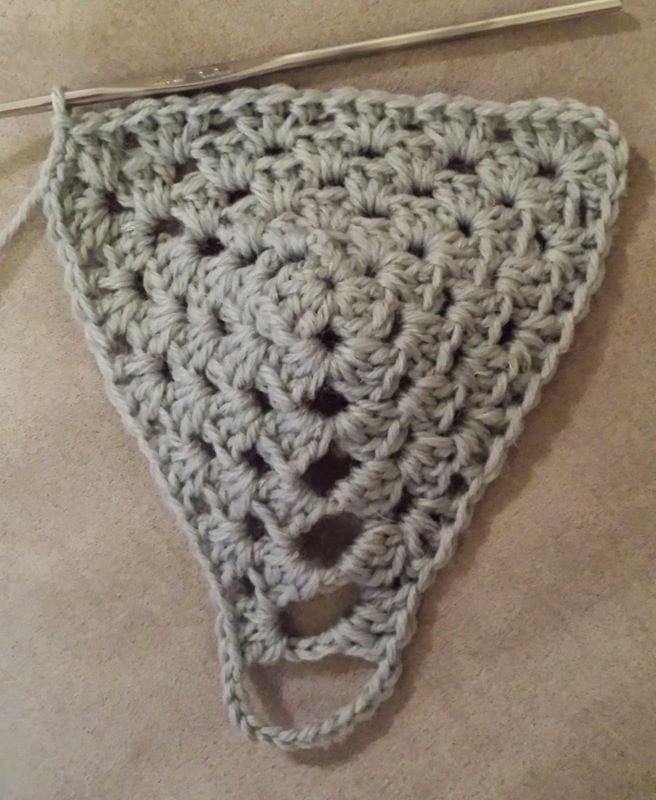 Here's another quick to work up pattern, that is sure to bring smiles to the faces of who wear them! 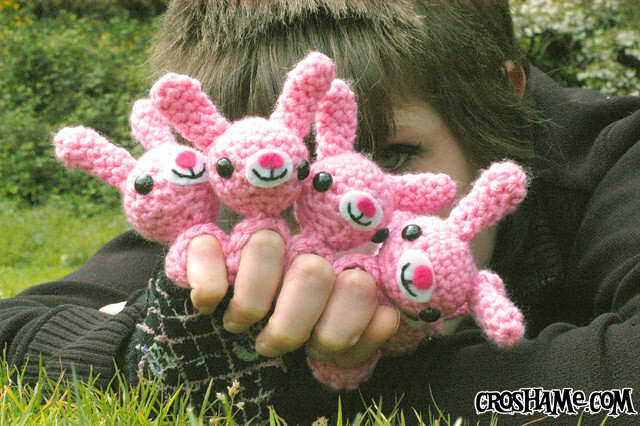 With Easter approaching quickly, I am trying to find some "quick to work up" crochet patterns. I found this one last evening, and I fell in love with it! It has a very vintage and elegant appeal which was created by using natural crochet thread along with a pretty ribbon bow. This pattern is written in Italian, but you can easily translate it by using Google Translate. Just type in the web site's URL and a link for the translated version will appear! The text may appear a little confusing in English, however, the designer has also included a very detailed photo tutorial which is a big help! Keeping an Easter theme going, yesterday I posted a cute little jar cozy. Today, here's a cute little coffee cozy! You can use these on coffee mugs, travel/disposable cups, and even kids mugs. Simple and quick, this is a cute idea for the upcoming Easter weekend. This crochet Easter bunny cozy is super cute, and a great companion to your homemade treats! Now when you go visit this pattern, don't be confused! It starts off with a treat recipe, but if you keep scrolling down the page, you will find this cute crochet pattern. It's a win-win duo! 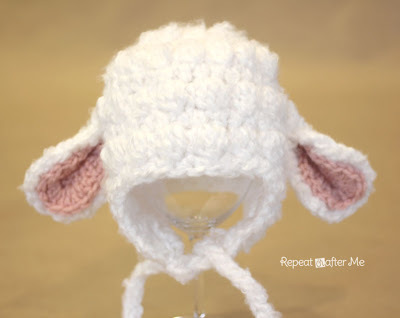 This little lamb hat will look adorable on your little ones this Easter. Or go ahead, and make one for yourself! The designer includes a great written tutorial along with photos, and photos of color variations and embellishments! Bulky Weight Yarn (weight category 6 ) - Loops & Threads Country Loom Baby yarn in White. Vanna's Choice yarn in pink for the ears. These cute baskets can be used for anything; Easter and all sorts of random stuff! I's pretty, yet simplistic, and includes written instructions on making it big and firm with a handle by using two stands of yarn together; or smaller with one strand of yarn. 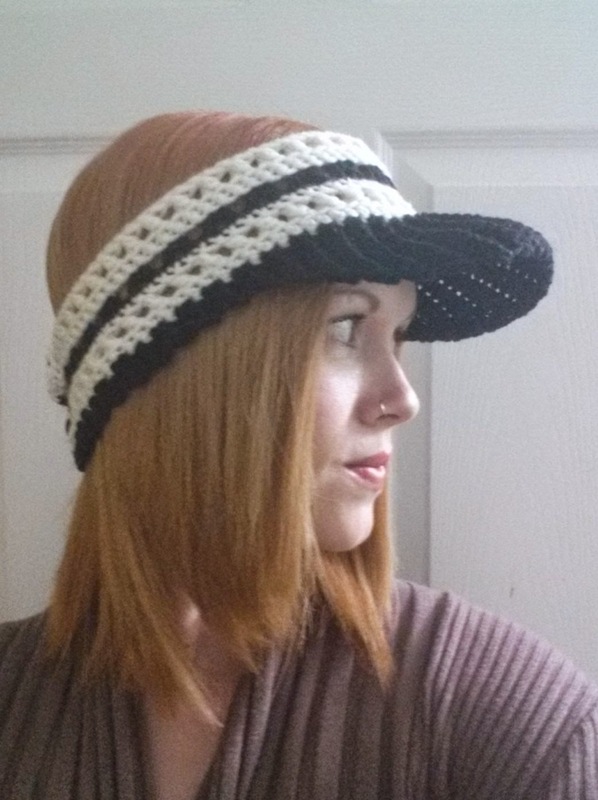 I've been using this brimmed edge pattern for several years on regular winter hats, but I wanted something a little more airy and fresh for spring. How about just a visor? 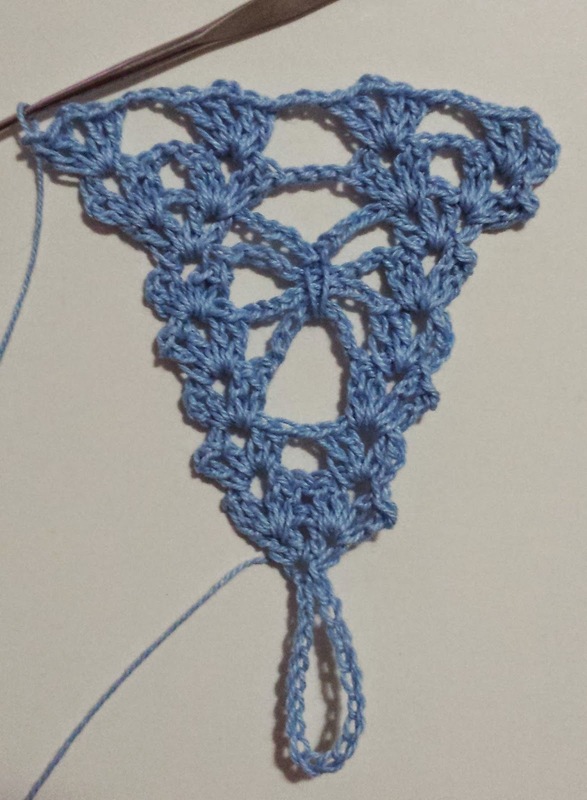 I envisioned something light colored and lacy, and when I got down to writing, it came out exactly as planned! Of course, you can make this in any color you want, or even multi-colored. 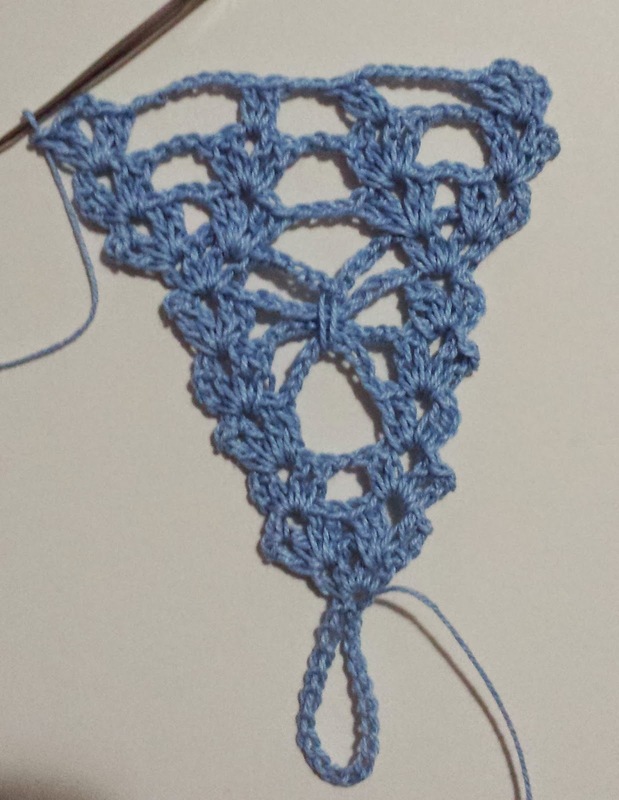 I also want to try this out in cotton yarn! 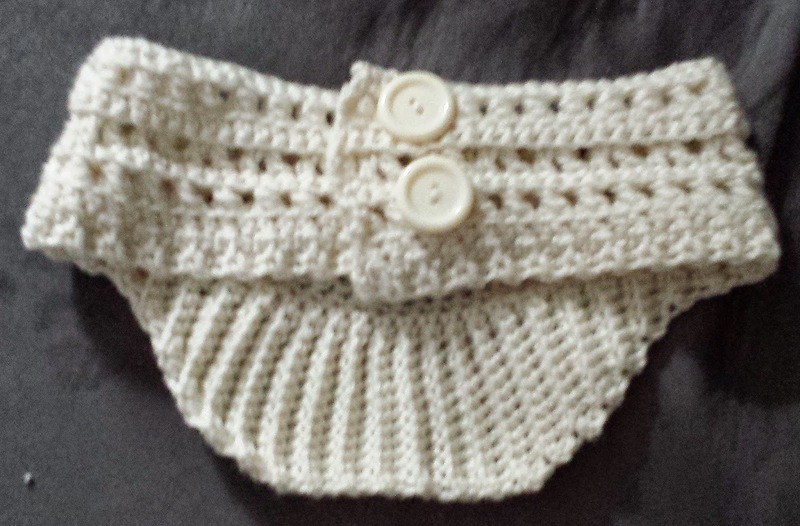 The pattern begins from the top of the headband and works it's way down in rows. It is worked in one piece, back and forth; because in the end, you will attach two 30 mm buttons to close it up. 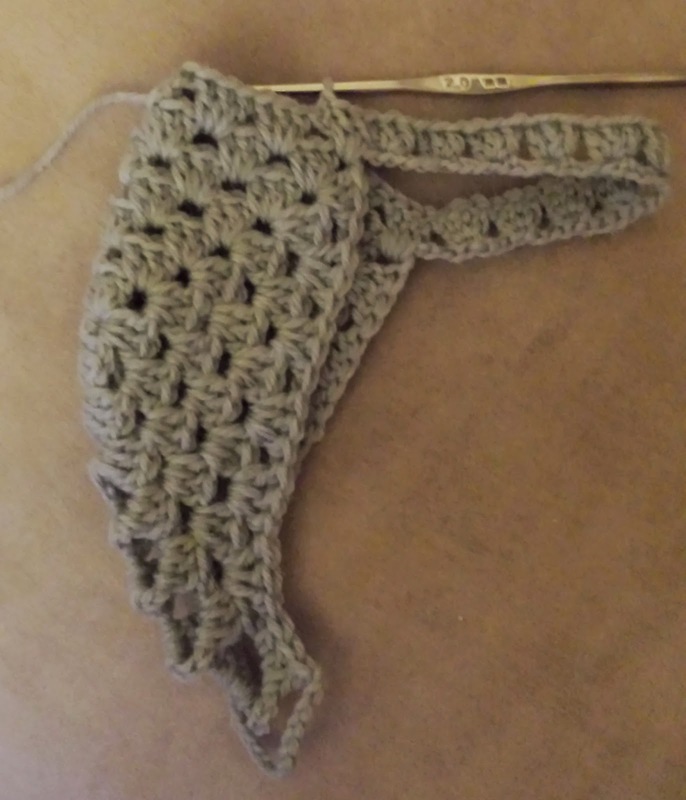 You don't need to make any buttons holes, because Rows 2 and 6 (X-Stitich Rows) have enough gap, that the buttons will fit through, therefore, allowing you to adjust the size of your headband. 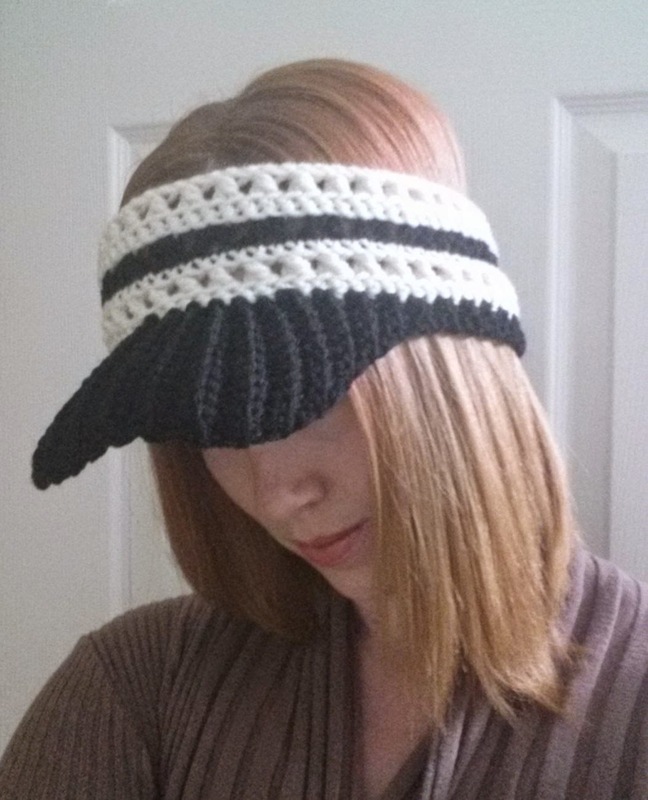 From the last row of the headband, you continue on with the ribbed visor. 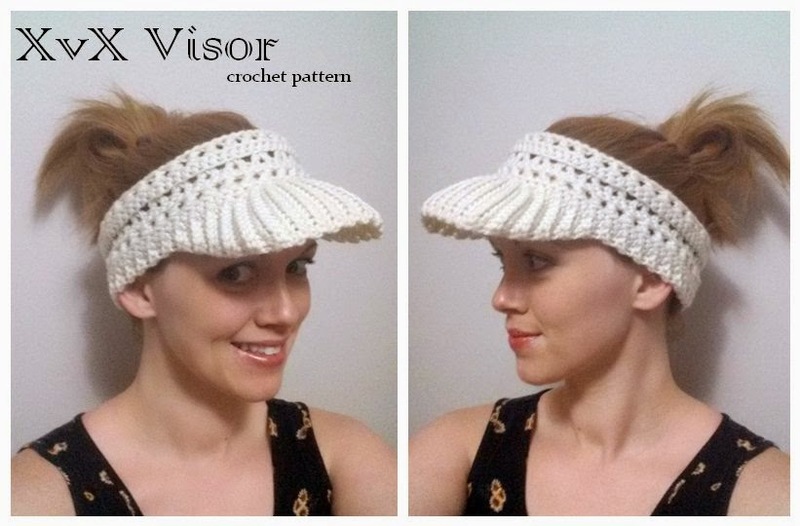 You work back in forth in short rows along the headband edge, increasing stitches and rows towards the center, to give the visor brim some flex and curve. Row 1: Ch3, turn; sc in 2nd ch from hook; sc in next ch. 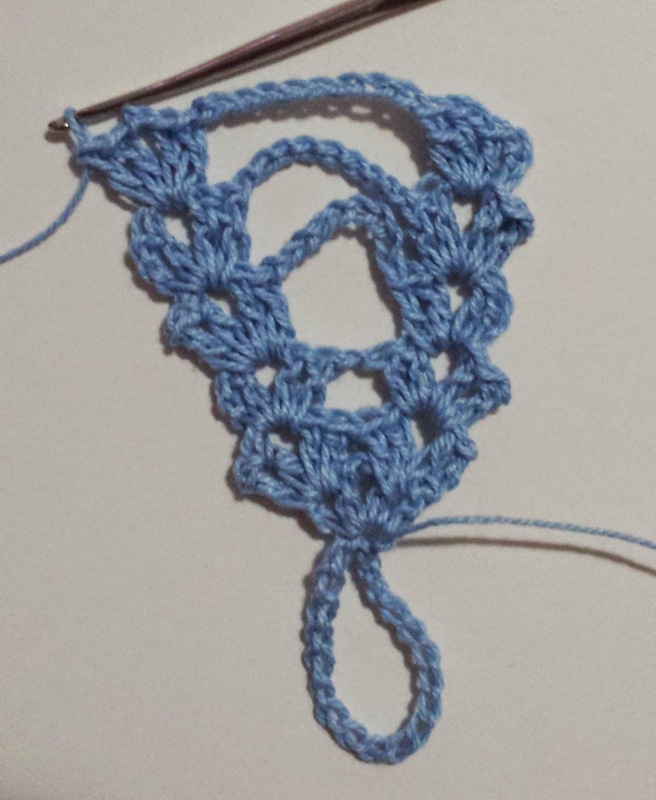 -working in backloops for remainder of short rows. Row 2: Sl st in next 2 base sts, turn; skip over the 2 sl sts, sc in next 2 sts. Row 3: Ch1, turn; sc in next 2 sts. Row 4: Sl st in next 2 base sts, turn; skip over the 2 sl sts, sc in next 2 sts. Row 37: Ch1, turn; sc in next 10 sts. Row 39: Ch1, turn; sc in next 11 sts. Row 41: Ch1, turn; sc in next 12 sts. Row 42: Sl st in the next 1 base st, turn; skip over the sl st, sc in next 12 sts. Row 57: Ch1, turn; 2sctog, sc in next 10 sts. Row 58: Sl st in the next 1 base st, turn; skip over the sl st, sc in next 11 sts. Row 69: Ch1, turn; sc in next 2 sts. Row 70: Sl st in next 2 base sts, turn; skip over the 2 sl sts, sc in next 2 sts. Rows 71/72 up to 95/96 (end): Repeat Rows 69 and 70. 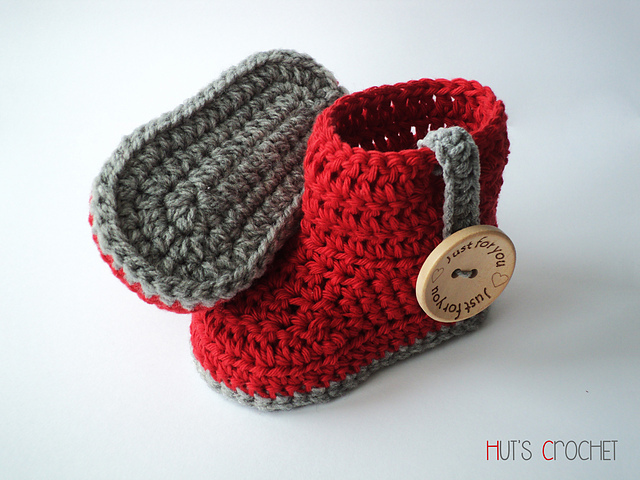 These sweet baby booties are a great spring project! I love the button embellishment and side tab. The designer has included a full photo tutorial and written instructions laid out in a perfectly clean and easy to read format! Size: newborn - 3 months, 3 - 6 months and 6 - 9 months. Do you want to do something a little different this Easter? 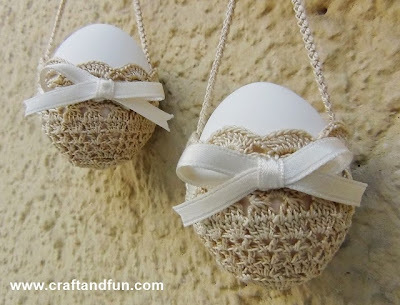 Check out these lovely crochet thread Easter eggs! The natural tones emit elegance, but also think of them in bright colors! This is a great idea, and the designer has done an awesome job creating this, by writing up full instructions and adding photos in a wonderful tutorial. 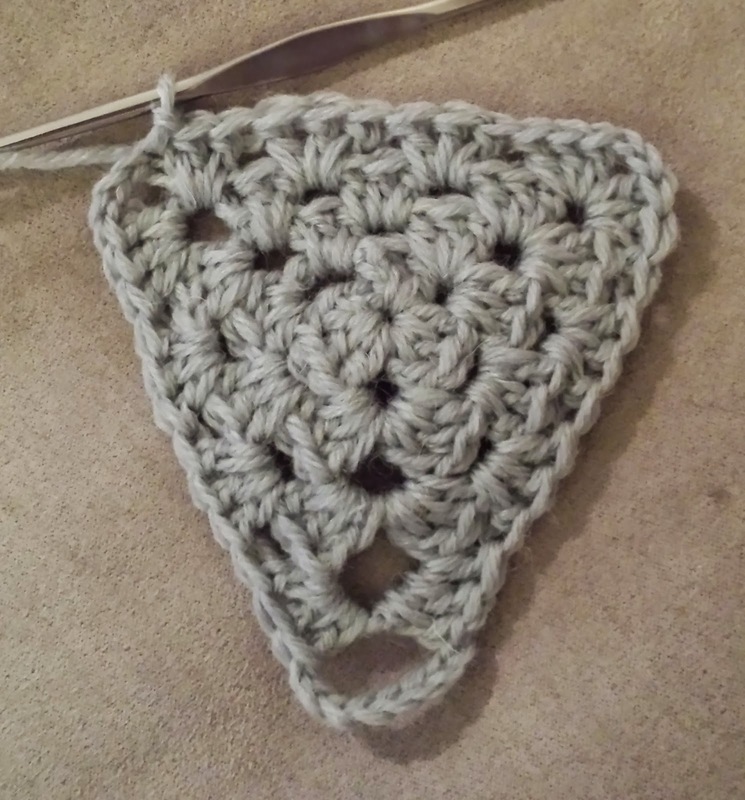 This pretty crochet pillow kind of works up like my Pin Laced Hat Pattern! 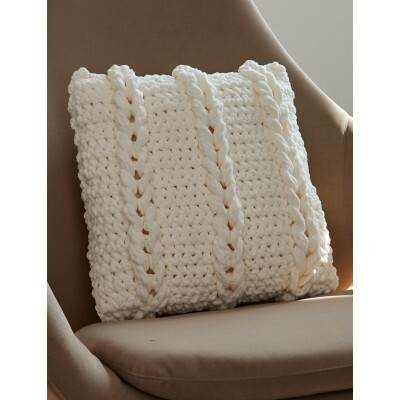 Using soft Bernat Blanket yarn, you can quickly create this pillow and have it displaying all of its beauty on your favorite piece of furniture. 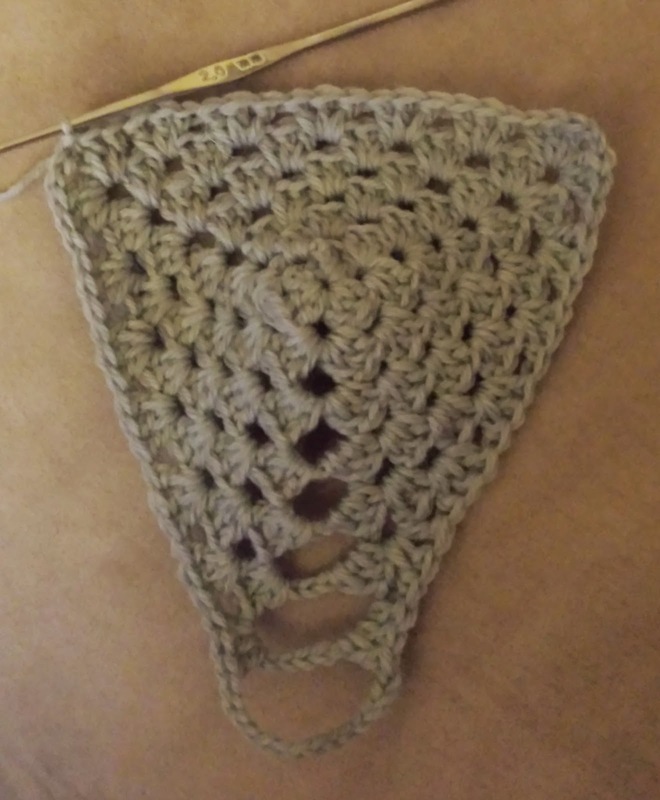 Size U.S. L/11 (8 mm) crochet hook or size needed to obtain gauge. 16” [40.5 cm] square pillow form. These little bunny pillows are sweet! 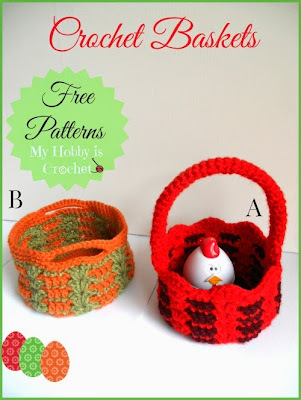 This is a fairly easy pattern, with plenty of time to make a few for Easter. Red Heart yarns in Pretty in Pink and Bright Yellow and Purple. 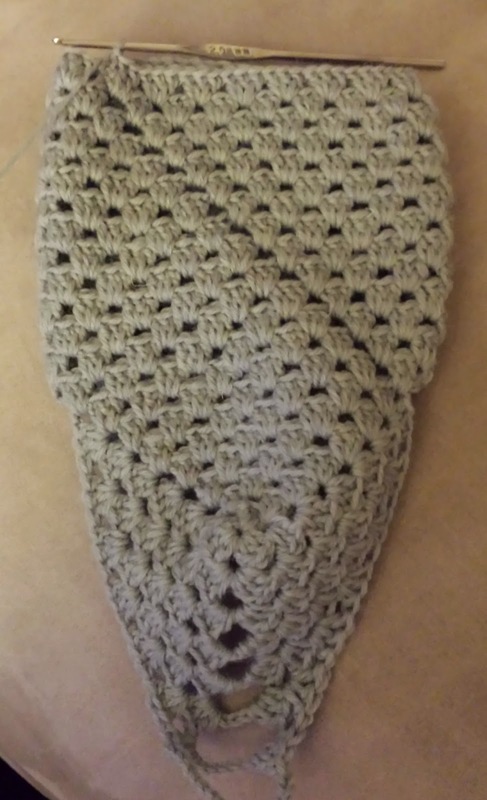 Feet are on my mind after recently designing two new sock patterns, but I'm tired of winter, and I feel like beaches, flip flops, and barefoot sandals! 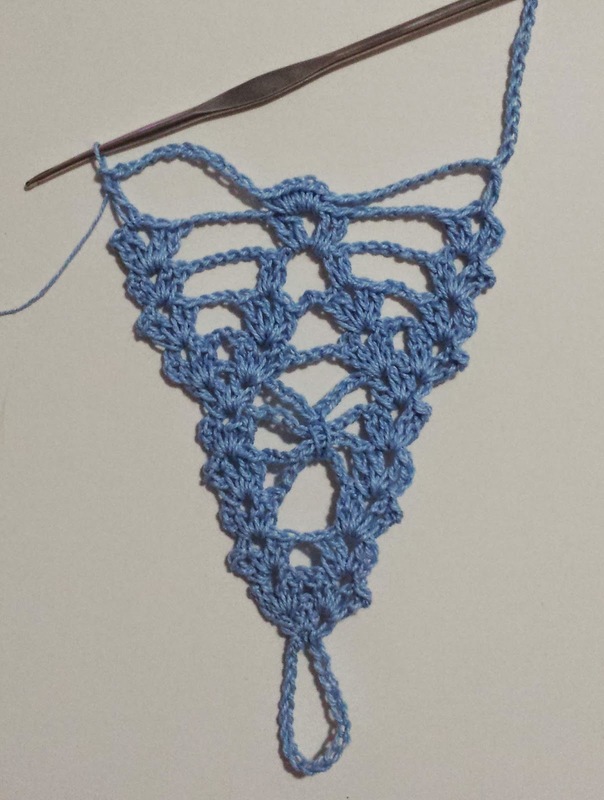 I actually designed this legwarmer style barefoot sandal/sock pattern last summer, which was created with "yoga socks" in mind, for a friend. (who was actually using them for yoga!) 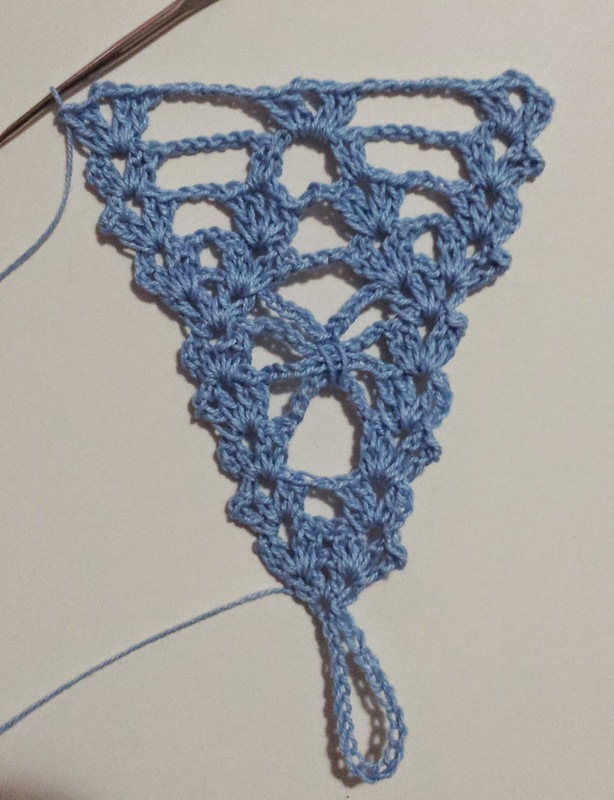 So, recently, I had a few balls of sock yarn lying around, and took that opportunity to actually write out my pattern to share. Enjoy! These barefoot socks work from the foot and up to the top of the leg. 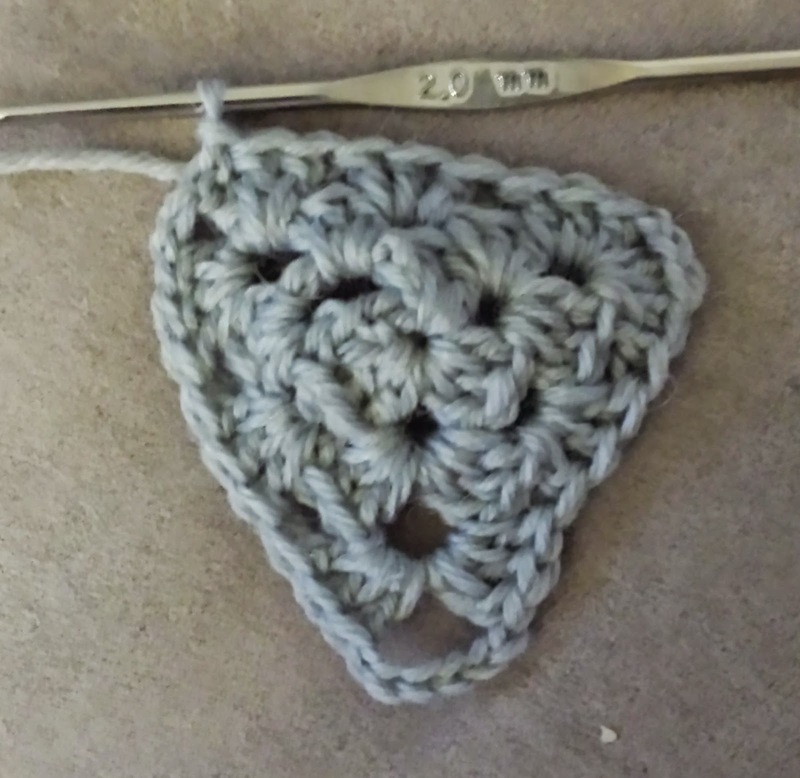 If you can make a granny square, you can make these! 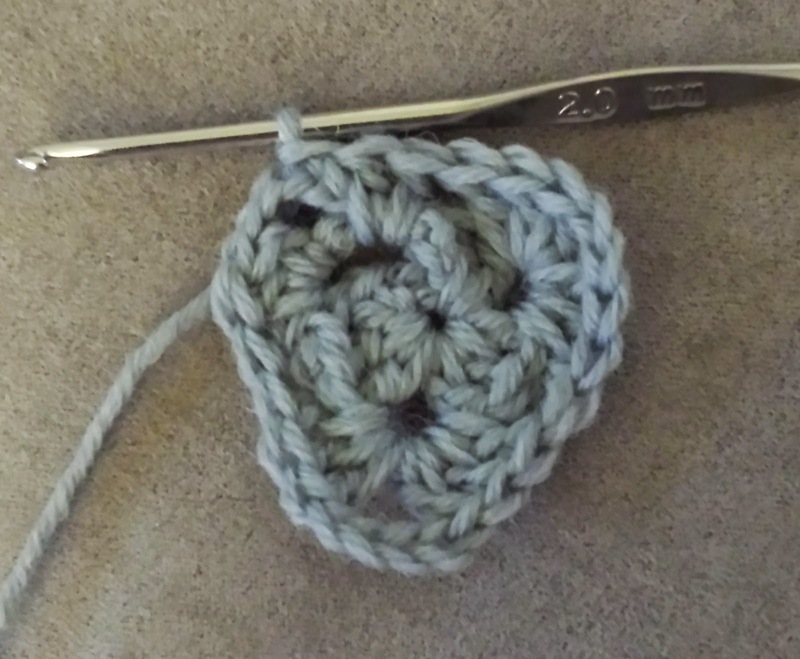 The double crochet stitches turn into longer stitches (htr, tr, hdtr, and dtr) as you work up the leg to give it more stretch. You can also quit at any time as you're working up the leg, if you want them shorter, just stop after any round and skip to the very last finishing round. These look great pulled all of the way up to your knee, or slouched down as well! 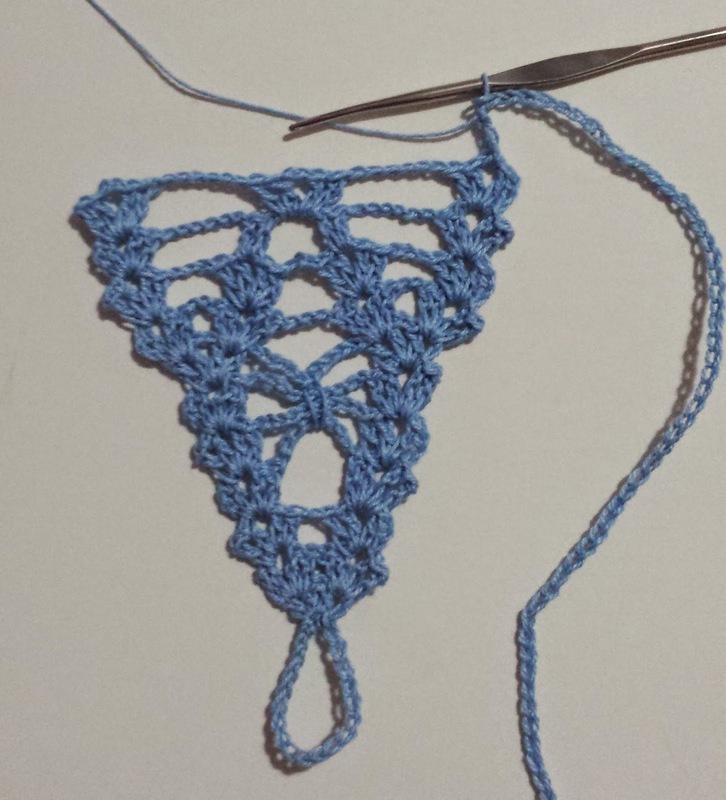 Hdtr (half double treble crochet)= Yarn over three times, insert hook into next stitch, yarn over and pull up a loop (five loops on hook), yarn over and draw through two loops, (four loops on hook), yarn over and draw through two loops (three loops on hook. 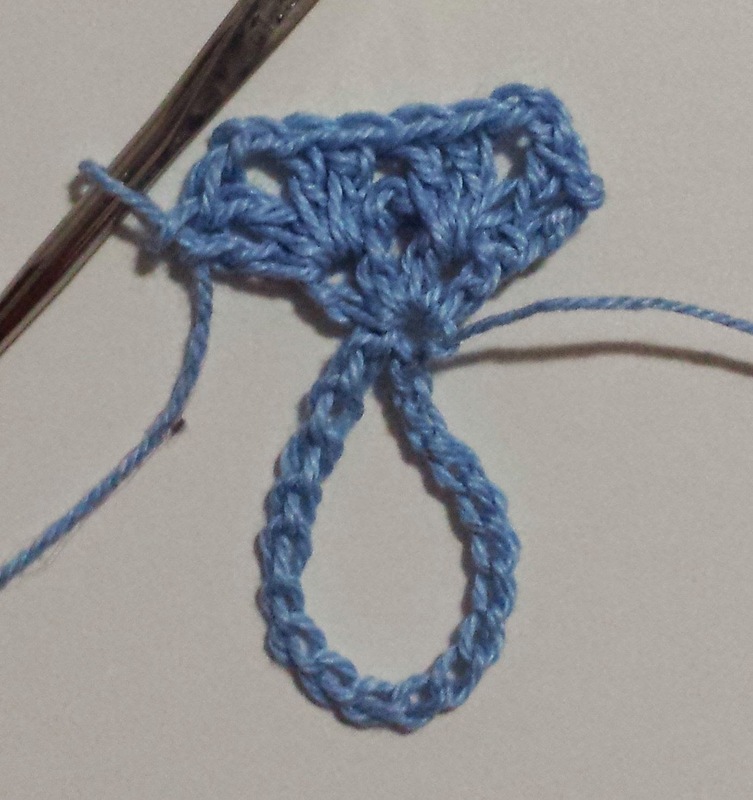 ), yarn over and draw through three loops on hook. Dtr (double treble)= Yarn over three times, insert hook into next stitch, yarn over and pull up a loop (five loops on hook), yarn over and draw through two loops, (four loops on hook), yarn over and draw through two loops (three loops on hook. 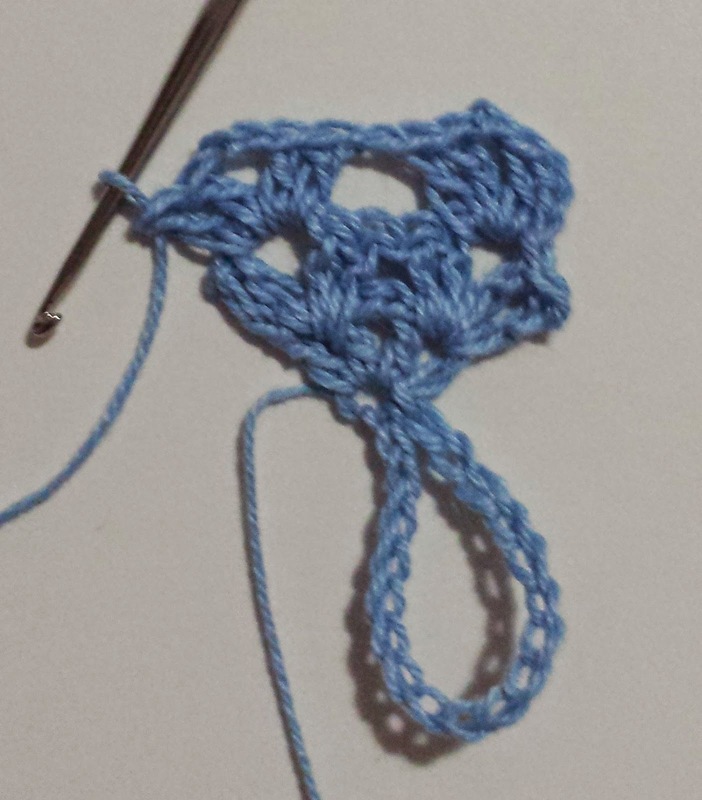 ), yarn over and draw through two loops. (two loops on hook.) 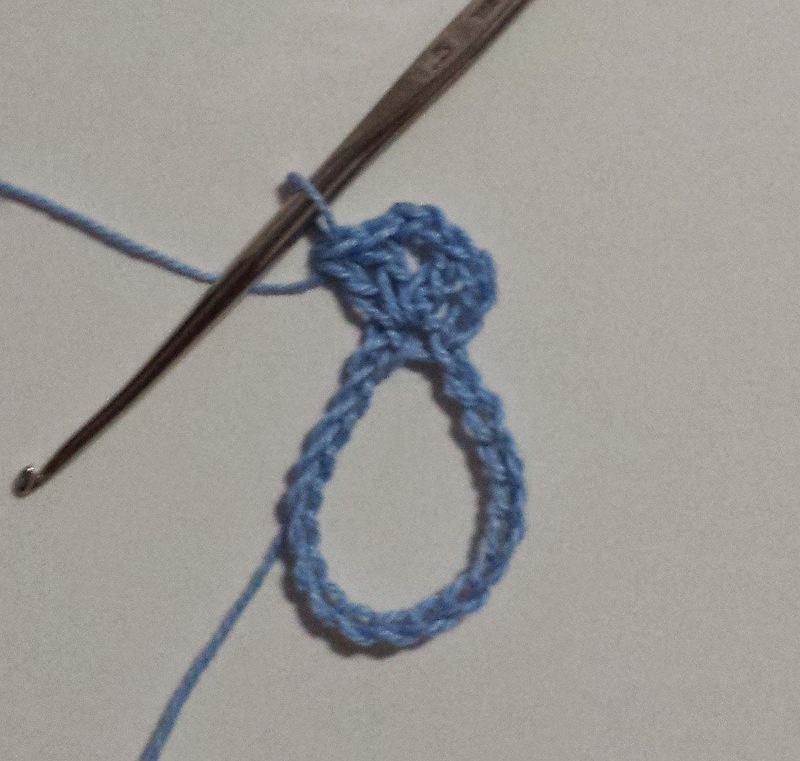 ,yarn over and draw through two loops. -Ch4, sl st in 1st ch to form a loop. Rnd 6: Sl st in 1st ch2 space, ch5 (counts as 1dc and ch2), shell in same space; (shell in next space) 4 times; (shell, ch-12, shell) in next space; (shell in next space) 4 times; (shell, ch-2, shell) in next space; (shell in next space) 4 times; 2dc in first space, sl st in 3rd ch of beginning ch5 to join. (18 shells made) Do not fasten off. Rnd 7 (MEDIUM AND LARGE SIZE ONLY): Sl st in 1st ch2 space, ch5 (counts as 1dc and ch2), shell in same space; (shell in next space) 5 times; (shell, ch-14, shell) in next space; (shell in next space) 5 times; (shell, ch-2, shell) in next space; (shell in next space) 5 times; 2dc in first space, sl st in 3rd ch of begining ch5 to join. (21 shells made) Do not fasten off. Rnd 8: (LARGE SIZE ONLY): Sl st in 1st ch2 space, ch5 (counts as 1dc and ch2), shell in same space; (shell in next space) 6 times; (shell, ch-16, shell) in next space; (shell in next space) 6 times; (shell, ch-2, shell) in next space; (shell in next space) 6 times; 2dc in first ch2 space, sl st in 3rd ch of beginning ch5 to join. (24 shells made) Do not fasten off. Rnd 1: Sl st in first ch2 space, do not turn, ch 43, careful not to twist the chain, sl st in ch2 space on opposite side of beginning ch2 space to join. Rnds 3-15: Sl st in next space; ch3 (counts as 1dc), (shell in next space) (16, 17, 18) times; 2dc in first space, sl st in 3rd ch of beginning ch3 to join. Rnds 16-20: Sl st in next space; ch4 (counts as 1htr), (htrshell in next space) (16, 17, 18) times; 2htr in first space, sl st in 4th ch of beginning ch4 to join. Rnds 21-25: Sl st in next space; ch5 (counts as 1tr), (trshell in next space) (16, 17, 18) times; 2tr in first space, sl st in 5th ch of beginning ch5 to join. Rnds 26-30: Sl st in next space; ch6 (counts as 1hdtr), (hdtrshell in next space) (16, 17, 18) times; 2hdtr in first space, sl st in 6th ch of beginning ch6 to join. Rnds 31-35: Sl st in next space; ch7 (counts as 1dtr), (dtrshell in next space) (16, 17, 18) times; 2dtr in first space, sl st in 7th ch of beginning ch7 to join. 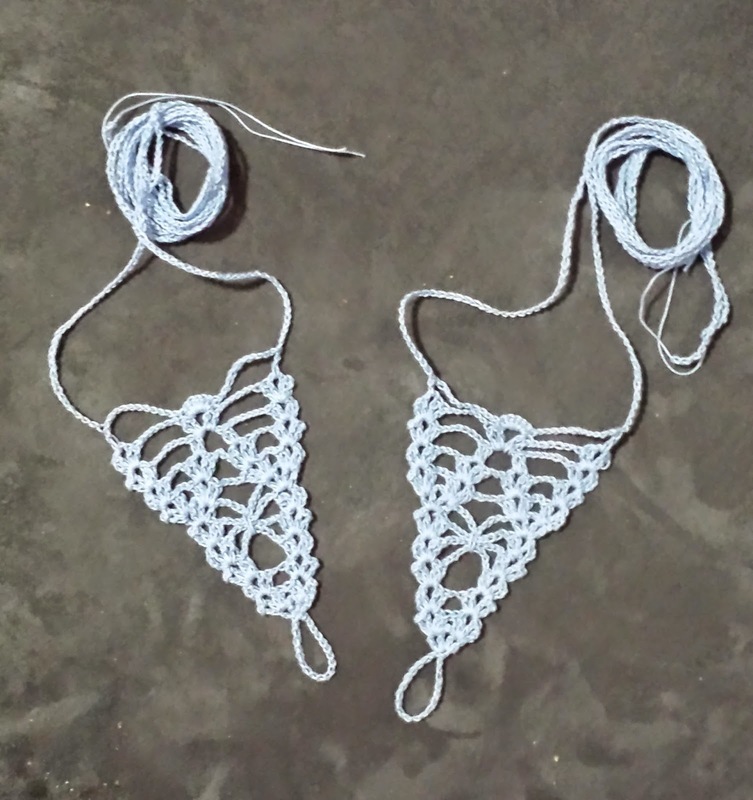 Elegant crochet tops look hard to make, but usually they are not so bad once you get going. 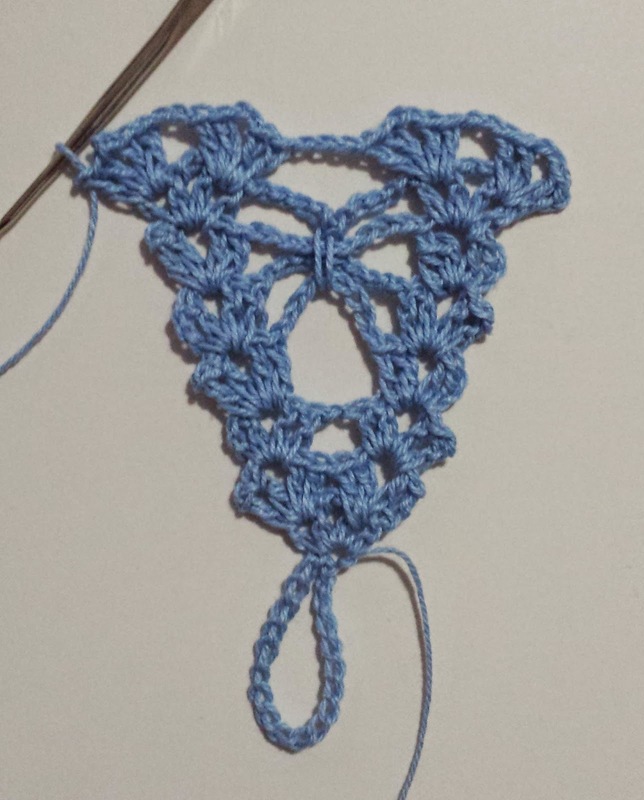 It's always a good point to look over the entire pattern first, and you may realize how easy it is! Paired with a matching camisole, this beauty reminds me of spring and summer. 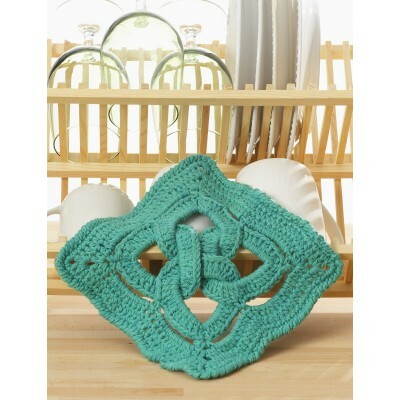 You can embellish anything with these beautiful crochet shamrocks! They look lovely on their own, as well as joined together to create a larger piece. Small Amount of #5 pearl cotton yarn (Craftways from Herrschners) in two colors of green - one lighter than the other. D-3 / 3.25 mm crochet hook. Don't want to paint Easter eggs? Easy, just make them hats! 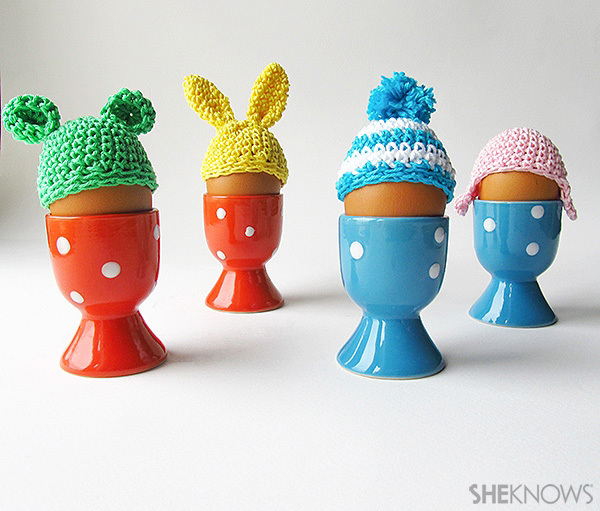 These Easter Egg Beanie Hats are funny, and completely adorable! 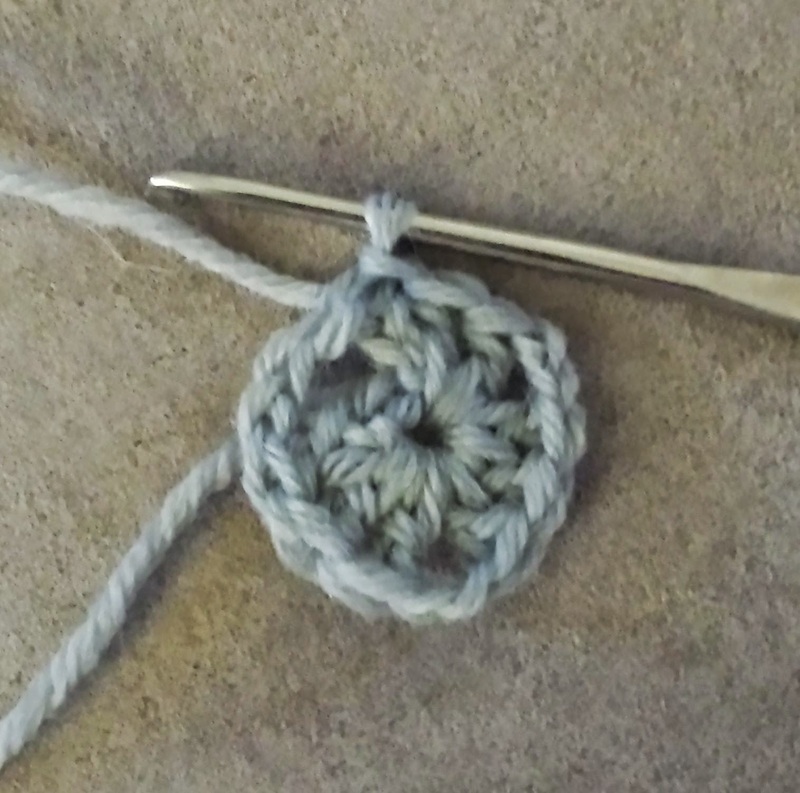 If you're a crochet beginner, there's nothing wrong with looking for the easiest projects. Here is a great video tutorial for an easy project; fingerless gloves. This is also a wonderful quickie project if you have no time for playing around with advanced patterns! 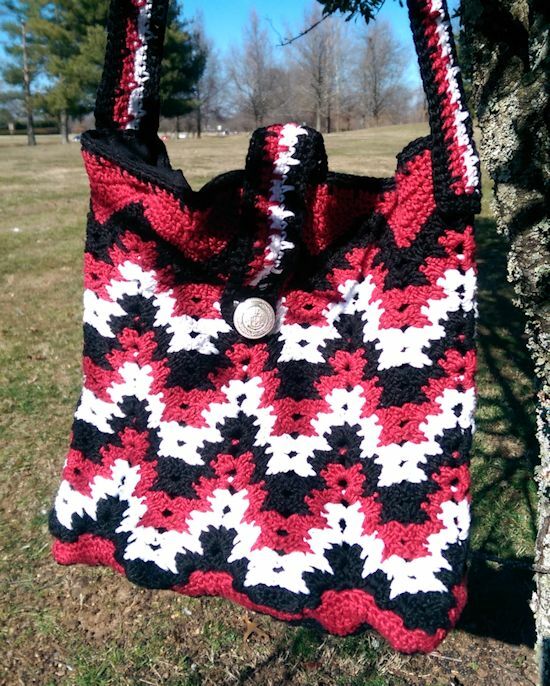 How cool is this crocheted Purse?! 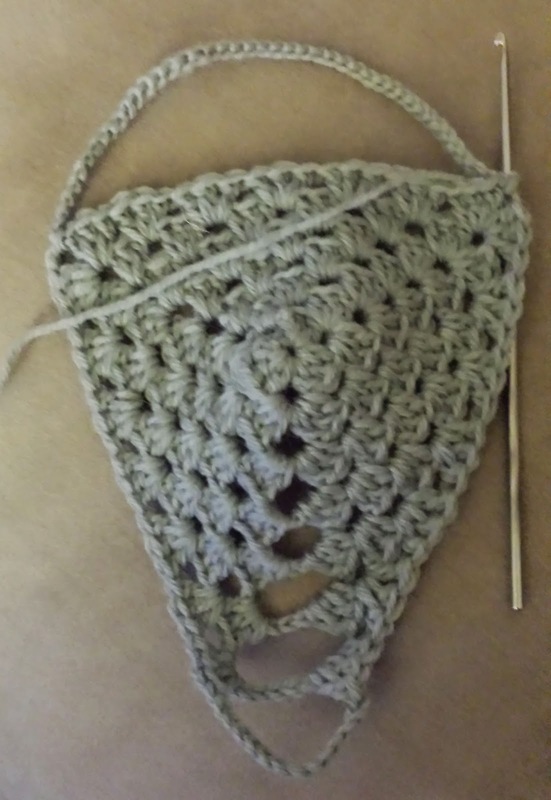 I love the "spiked stitches" pattern that the designer has created, which in turn, bring this awesome bag to life! The pattern includes everything you need to make your own, from written instructions, photos, to charted diagrams. Feeling Irish? Whip up these adorable shamrock embellished baby booties just in time for St. Patrick's Day! You can turn almost anything into a "St. Patrick's Day" themed item by simply making it in green! However, this beauty of a necklace is already done in green. 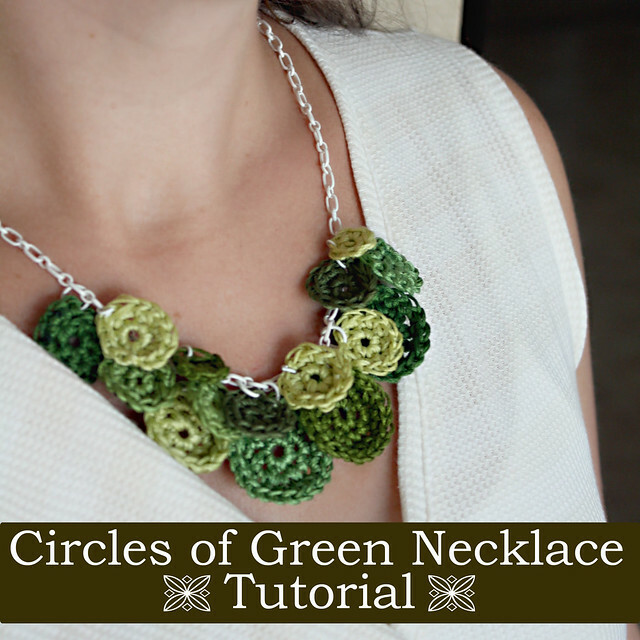 It is a simple concept, many shades of green crocheted circles attached to a chain in a particular fashion, and it gives great results! 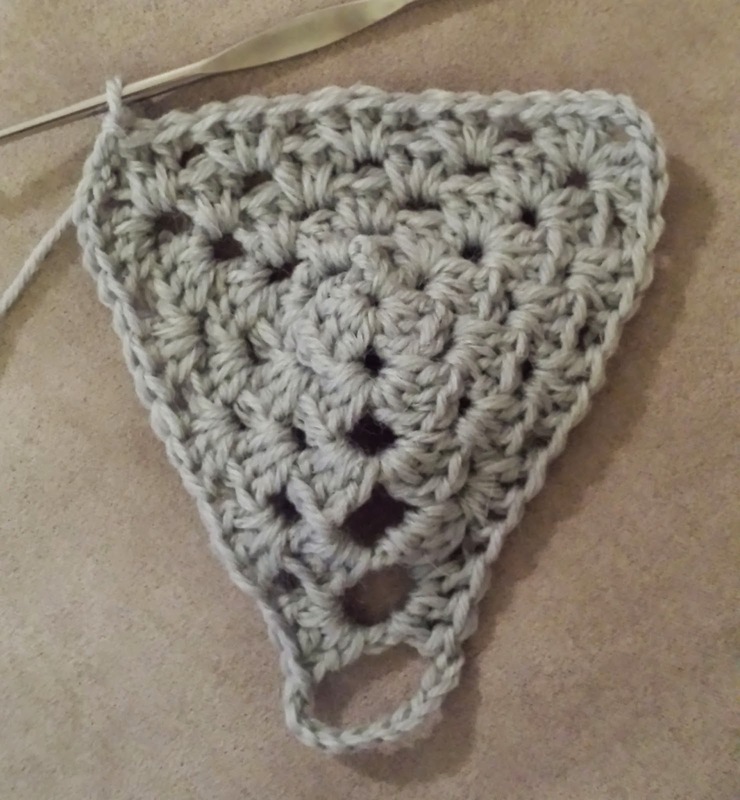 It's been a long, dreary and cold winter in my part of the world, so here's a crochet pattern to brighten up our days! This beautiful shawl implements the granny stitch along with intense color, giving eye catching results! These pretty Celtic knot squares can be used as dishcloths or hot pads, but use your imagination, and they can become anything you wish! Size: Approx 10 ins [25.5 cm] square.